One of the Classic Favourites! High Haven has a Charming Unique Design and is a very practical house. 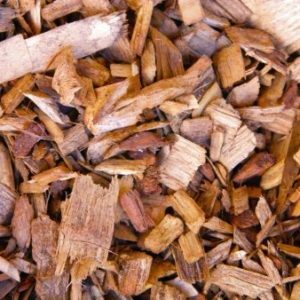 Superb Craftsmanship and Quality Materials using Pressure treated timber. 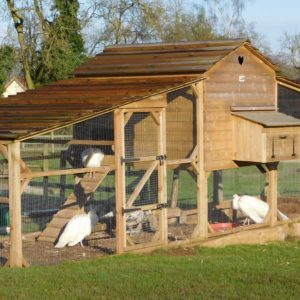 Our very popular and traditional walk-in, large poultry house – easily accommodates 20 birds. 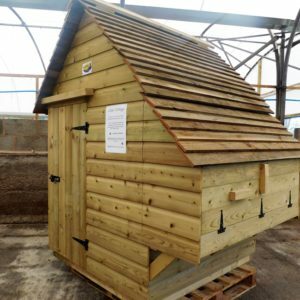 Made with quality pressure treated timber and fixings for durability. Great ventilation to circulate air. 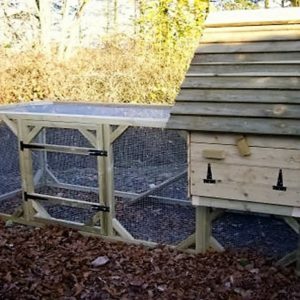 Four nest boxes with external access for egg collection. 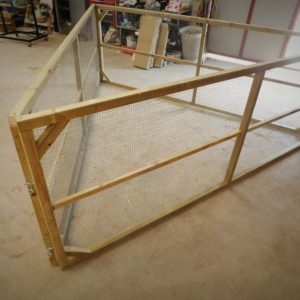 Fully Movable Wooden Hurdles, Made by Wynnes Of Dinmore with galvanised inch x half inch wire mesh. 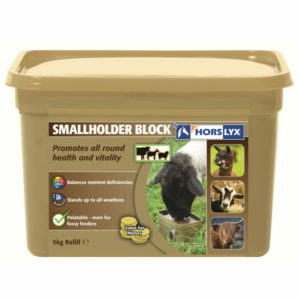 Ideal for securing your poultry,goats, sheep and other small animals and pets. 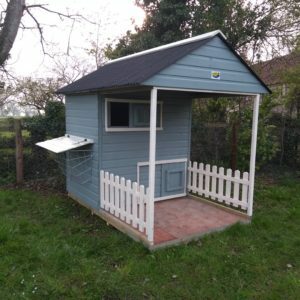 Magnificent complete Peacock & Poultry house & run – uniquely designed and built by Wynnes of Dinmore. 7.5 meters long X 2 meters wide X 2.4 meters high. 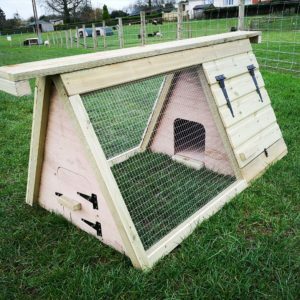 Hand crafted using pressure treated FSC timber and strong galvanised inch by half inch wire. Also made using screws instead of nails to insure strength and durability. 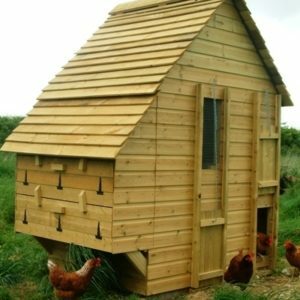 Compact housing for Pets or Poultry. Combined house and run with removable end doors. 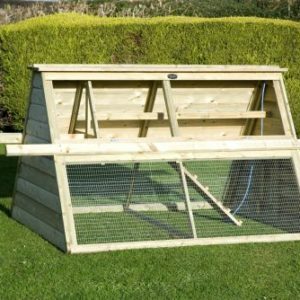 Ideal for Guinea Pigs, Rabbits and small pets. 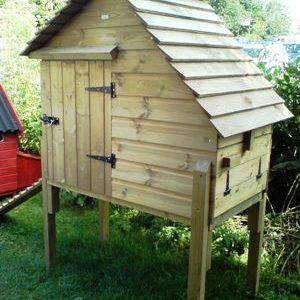 A very characteristic quirky build, for people who want to add something a bit ‘different’ to their Gardens/paddocks. 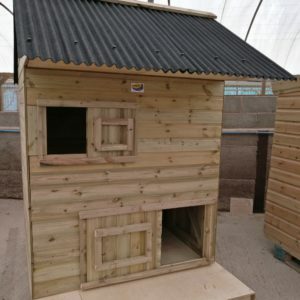 This housing can be painted in a variety of colours.